A West Coast-based company plans to build a $1 billion data center in Ashburn, Virginia. 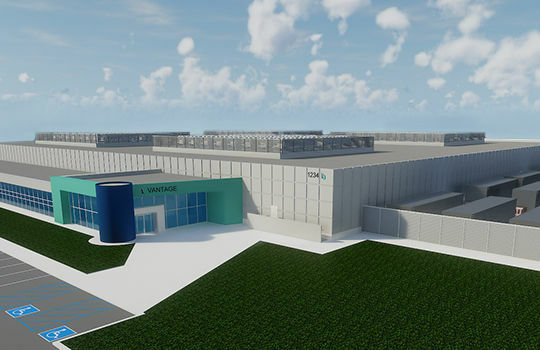 WASHINGTON — Santa Clara, California-based Vantage Data Centers has acquired 42 acres in Ashburn, Virginia, known as “Data Center Alley,” and plans to invest $1 billion in a data center campus with five buildings, totaling more than 1 million square feet. This will be the company’s third data center location and its first on the East Coast. Vantage cites the region’s robust fiber connectivity for the decision to locate in Loudoun County. Its Ashburn campus will be less than two miles from the densest interconnection points on the East Coast. It says construction will begin in early 2018. Northern Virginia leads the North American data center market with more than a 30 percent market share, according to JLL. And Loudoun County leads the region’s data center concentration, with more than 75 data centers and 10 million square feet of data center space either operational or under development, according to the Loudoun County Department of Economic Development. Prince William County is also a major data center hub, passing 3.5 million square feet of data center space this summer. Northern Virginia did lose out on a big, recent data center announcement. Facebook chose the Richmond area for its newest data center.